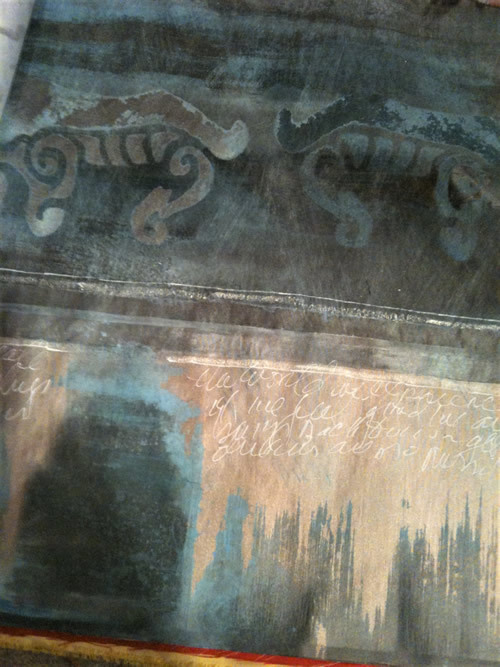 Isabelle H. painted Decorative Fabric Panels work like hanging tapestries, acting as powerful accents to the walls. 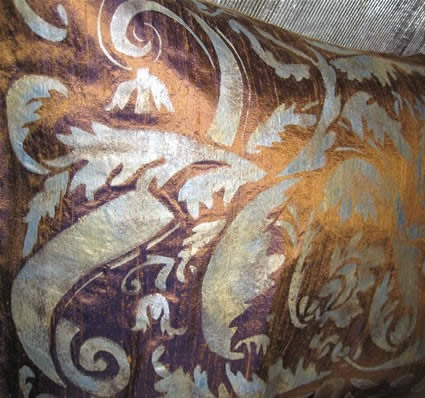 They can serve in entryways, bedrooms, or above sofas to create visual vistas. 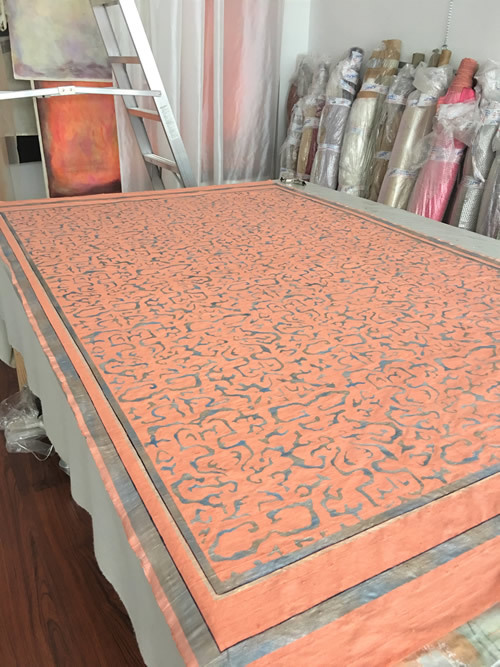 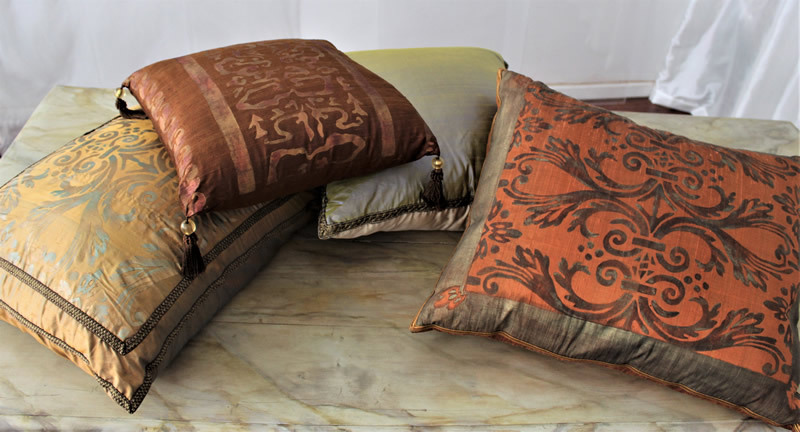 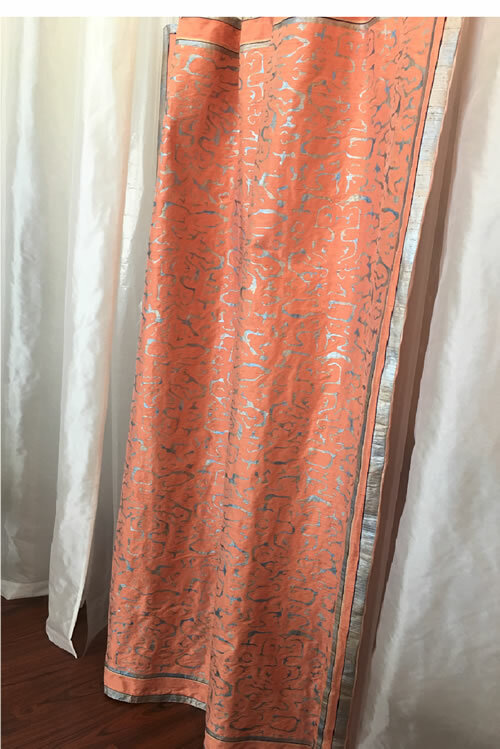 Our fabric panels are sheers, cottons, linens, silks, and velvets, that can also be made into curtain panels, throws, and pillows to further act as focal accents within the surrounding color design. 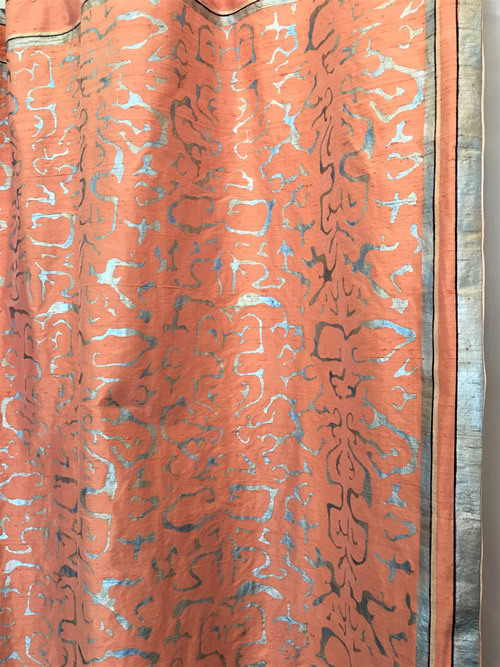 Isabelle H. Textile Panels (created exclusively for each client) can be used alone or coordinated with a Color Spaces Wall Design. 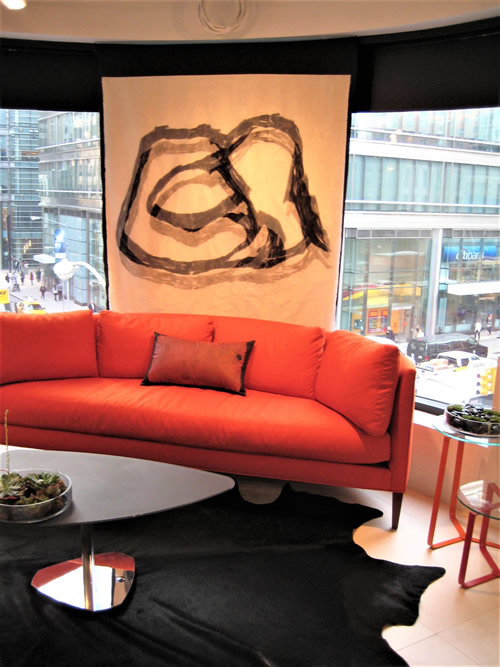 They can be hung permanently, or hung temporarily and changed for multiple design options. 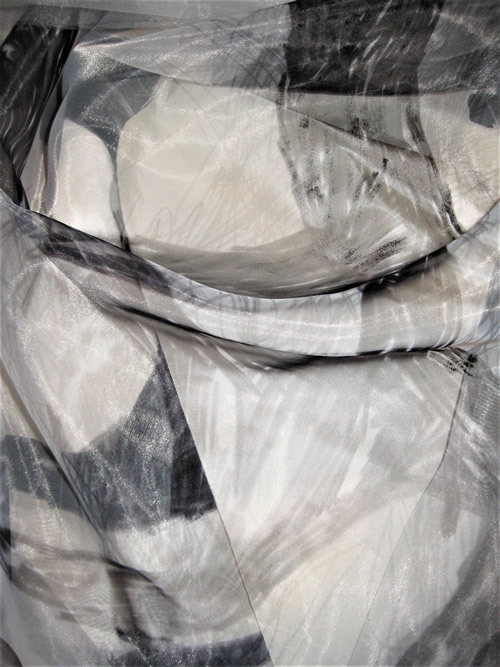 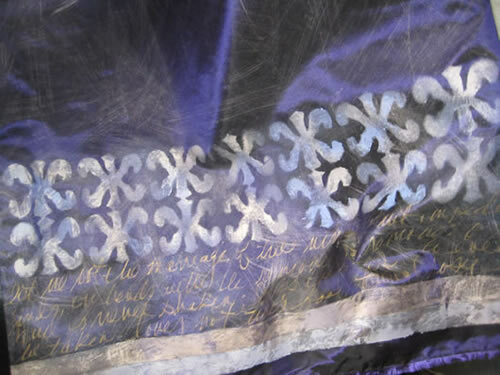 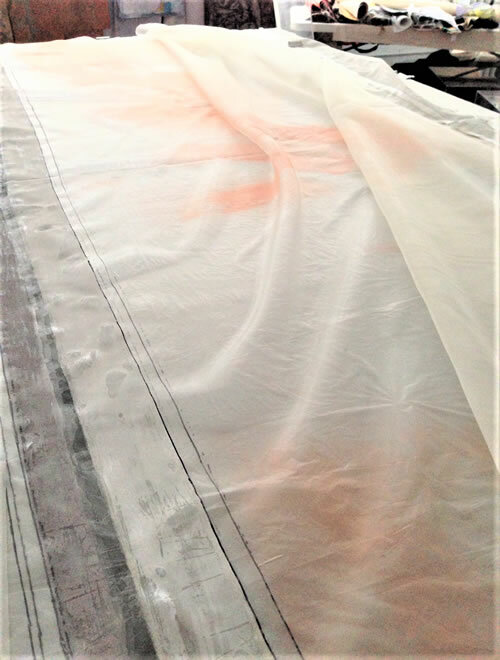 The hand painting of the fabrics allows for unique color variations throughout each panel, so no two panels are alike. 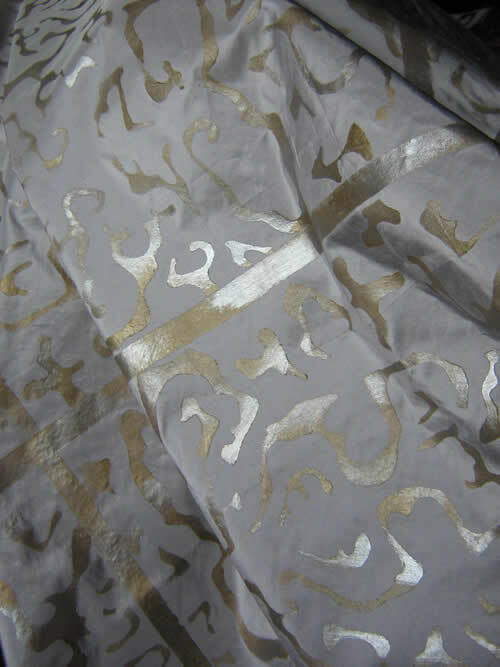 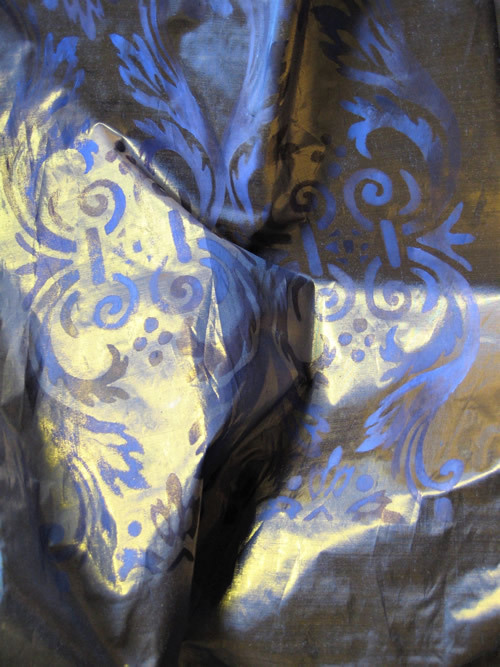 Our metallic pigments used on iridescent silks allow for different light relection effects, and painting on sheers gives color layering effects—seeing a color through another color.